Pump Up Your Book is pleased to bring you Shaan Sharma’s A SESSION DIRECTOR’S GUIDE TO COMMERCIAL ACTING IN L.A. book blitz November 3 – 28! Shaan Sharma’s A SESSION DIRECTOR’S GUIDE TO COMMERCIAL ACTING IN L.A. is the commercial acting industry’s most comprehensive book ever written – - giving readers a step-by-step guide to breaking into and prospering in the commercial acting business in the world’s entertainment center, Los Angeles. Fusing his experience, wisdom, vignettes and wit – Sharma is about to change the lives of those who thought big-picture acting was nothing but a fantasy, as well as those commercial veterans who could be even more successful. GUIDE TO COMMERCIAL ACTING IN L.A. contains insider knowledge that will help actors better understand the process and in turn be more successful. Shaan’s book features compelling illustrations by Paul Loudon. As an L.A. actor himself, Shaan Sharma has a string of impressive acting credits on network TV shows such as “Scandal,” “Ground Floor,” “Growing Up Fisher,” “Gortimer Gibbon’s Life on Normal Street” and “The Thundermans.” Shaan’s commercial acting credits include spots for FedEx, Best Buy and Capital One – - but it’s his experience as a Session Director for hundreds of commercial castings that have given him unique insight into what it takes to be a working actor. He is also an acting teacher with regular scene study on-camera acting classes for film and TV as well as commercial acting workshops. For more information, visit Mr. Sharma’s official website: http://shaansharma.com and his book page at: http://shaansharma.com/Shaan_Sharma_Acting_Studio/shaans-book.php. He is also a columnist for Back Stage, an actor’s news source at: http://www.backstage.com/experts/shaan-sharma/. But when Mary accompanies her husband-in-name-only to Atlanta to meet his wealthy, overbearing family, she's tempted more than ever by Jude's kindness, humor--and vulnerability. 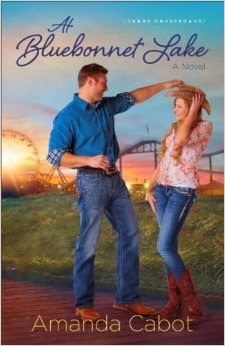 And when a wrenching misunderstanding causes her to return heartbroken to her remote Appalachian home, she's certain she's lost the real love they have found...and the shared future she's come to want so much. But a crisis of more than faith will work surprising miracles--and show Mary that love is strong enough to make the impossible come true. 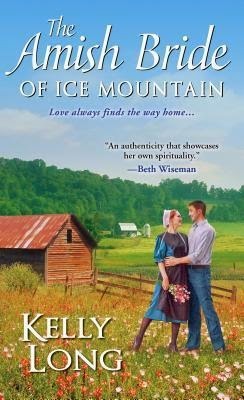 found this to be a different kind of Amish story, the Amisch of Ice Mountain, appear to be a more liberal sect in some ways, and yet up on a mountain they are really cut off from the real world. The Bishop has allowed Dr Jude Lyons to live among them and study them, which I found very unusual. With an innocent kiss Jude ends up married to Mary King, ok, and he is currently engaged to another woman. He proceeds to take Mary to Atlanta and his family, whom we find out, is very wealthy. What an insight we get into Jude’s life, and some of the heartbreak he has experienced. You will feel sorry for him. His mother is different, with her silver spoon in her mouth, and the Dad was very indifferent to his family. The saving grace was Grandpa, what a love and friend to Mary he turned out to be. Jude has decided that he will bring Mary back to the mountain and get an annulment; he doesn’t realize that there is no such thing in Amish society. This story does have quite a bit more sexual implications than other stories of this type that I have read. It is well done, but is more of a PG rating. I did enjoy this read, and am really looking forward to the next two. Pump Up Your Book is pleased to bring you Jonathan Bissell’s DREAM IN COLOR, THINK IN BLACK & WHITE virtual book tour November 3 – 28! Somewhere along the way, you had a dream that you let go of. But it hasn’t let go of you. You’re the reason this book was written. Because dreams matter. Dreams are powerful. And sometimes dreams just won’t go away – no matter how impractical, ill-timed or financially risky they are. This is a book about getting unstuck in your life or career. It’s about learning to dream in COLOR and think in BLACK & WHITE. There are three parts to this book: Dreaming in Color, Thinking in Black & White, and Fulfilling Your Dreams. Each part contains practical “how to” steps and examples explaining how to get unstuck and move toward your dream. The rest is up to you. Dream in Color, Think in Black & White: How to Get Unstuck and Fulfill Your Dreams is available at Amazon. Jonathan Bissell is a coach, author, speaker and teacher, as well as the CEO of High Performance Impact, LLC, an executive coaching firm helping proven and emerging leaders to identify and consistently leverage patterns of high performance. He helps dreamers do and leaders excel. Pump Up Your Book Presents The Straw That Broke Book Blitz – Win $25 Amazon Gift Card! Pump Up Your Book is pleased to bring you Tom Whalen’s The Straw That Broke book blitz November 3 – 28! His latest book is the science fiction, The Straw That Broke. How I hated this book to end, but I rejoiced when I read the author’s notes at the end, and there are to be two more books. Beauty is in the eye of the beholder is more than true when Sally and her Granddaughter Kate arrive at Rainbow’s End Lodge. Sally had spent a loving time there years ago with her husband Larry, and had finally convinced Kate to take some time off and enjoy this place with her. Of course you can picture what it looks like after several years of neglect, and of course new owners, who have removed the Christian aspect of the place. The saving grace of the place appears to be the cook Carmen, and several of the other visitors, and local people. What a gift Kate appears to have to help people, but can she help herself. Her main goal in life, above everything is to become a partner in her firm. Will she succeed? Or will she lose everything she has always wanted, or are their trade ups. One thing neither woman has any inkling of, or a desire for is a bit of romance, but lo and behold, there appears to be some on the horizon, not for one of them, but both. When we travel into the countryside in Texas, in April, the place is filled with the beauty of the blue bonnets, oh how I would love to see this, and I felt like I was on the ground lying in them. Amanda Cabot’s way with words put me right in the meadows, along with the Indian Paintbrush, oh how I loved it. There is another major character in Greg, his problem; he is extremely bright, and very wealthy. To most of the woman who have crossed his path they are interested in his being their meal ticket. Will he find peace and happiness? He does have a strong faith in God, as do most of the people at the lodge, but will they make the right decisions, and turn to Him for help, or forge their own way? I highly recommend this great read, and cannot wait for the next book in this series. Trygve Knutson has been promoted from well drilling to heading a construction crew for the fast growing town of Blessing, North Dakota. Though devoted to the land and his family, he sometimes dreams of other horizons. But is he willing to leave Blessing permanently? Miriam Francini hopes to become an accredited nurse in a large city hospital. She is simply tolerating her assignment at the hospital in rural Blessing because it will give her the experience she needs to accomplish her goal. She can't wait to finish her training and head to New York to begin a nursing career. Then Miriam meets Trygve Knutson and all her plans are suddenly in a jumble. She quickly realizes she doesn't want to live without him, yet she's a smart, independent woman--she's even a suffragette. She can't let anything get in the way of her own plans, even if she's in love. Or can she? 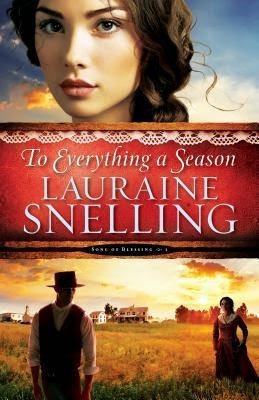 Lauraine Snelling is the award-winning author of over seventy books, with sales of more than 2 million copies. Lauraine and her husband, Wayne, have two grown sons, and live in the Tehachapi Mountains with a watchdog Basset named Winston. They love to travel, most especially in their forty-foot motor coach, which they affectionately deem “a work in progress”. A glimpse at what life was like in Blessing ND in 1905, where life was simple, and air was clean. People were very hard working, and it seemed that neighbors were there whenever there was a need. This is a predominately Norwegian community, and most have immigrated, and are helping others to come over, to where they can own land. We have a young man, Trygve Knutson, who has decided he is tired of traveling and come what may he wants to stay in one place, and that is Blessing. I loved the interaction he has with his Ante and Uncle, and would love to be in that family. Then we have a nursing student from Chicago who is being requested to go to Blessing to finish up her training. She is so torn, her father has died and her mother is very ill. She wants to be in two places at once, but her heart tells her that her family needs her. Her younger siblings were working, and helping bring in their meager earnings. The town of Blessing is expanding so much that they are running out of housing. With the expansion, there are a lot of new people and nationalities that end up there. Was really surprised, and yet shouldn’t have been, how some of the natives of the town didn’t support anyone else to have a freedom of religion. Will Miriam be able to come and take training? Will Trygve be able to leave the traveling job, when he is offered twice his salary to stay? These are just a few of the questions that will be answered beneath the covers of this great book. Pump Up Your Book is pleased to bring you Debra Mares’ IT’S THIS MONKEY’S BUSINESS virtual book tour November 3 – 28! “Cabana,” a young spider monkey is brought to life to tell her story It’s This Monkey’s Business to help children who are affected by domestic violence and divorce. Cabana, who lives with her parents in a treehouse high up in a rainforest canopy, becomes startled one day from her Mama’s scream, when she is waiting atop a tree branch for her Papa to teach her how to swing. After falling to the forest floor, Cabana frustrated from her parents’ fighting, decides she will search for a new family to be part of. Her persistence is cut short when she braves the river to play with a pink dolphin, unaware she cannot swim. The tragedy brings her parents together to realize they can no longer live together. Cabana reconnects with her Papa, realizing he is the only one that can teach her how to swing. It’s This Monkey’s Business is an approximately 756 word children’s book targeting ages 4-8, which is set in a rainforest and featuring “Cabana,” a young female Spider Monkey, her parents and rainforest animals. The book is approximately 30 pages long and features full spread color illustrations. It’s This Monkey’s Business is available at Amazon. Debra is the granddaughter of a Mexican migrant farm worker and factory seamstress, was born and raised in Los Angeles, was the first to graduate college in my family, and grew up dancing Ballet Folklorico and Salsa. Her own family story includes struggles with immigration, domestic violence, mental health, substance abuse and teen pregnancy, which she addresses in her novels. She followed a calling at 11 years old to be an attorney and voice for women, and appreciates international travel and culture. Her life’s mission is to break the cycle of victimization and domestic violence. Her latest book is the children’s picture book, It’s This Monkey’s Business. A little colorful paperback book for a little child, particularly a child from a broken home, or one parent home. The book is beautifully illustrated, and shows the little monkey trying to find the perfect home, where she can learn to swing. Of course, some of her choice could get her eaten, but she doesn’t like the fighting. A sweet lesson is ahead for the little one, who does get hurt while looking. There is a solution at the end, and should help to reassure a youngster. The book would be great to use to illustrate how things are better when parents are apart, and that life will go on for the little monkey. This sure will make a great gift for the little person in your life. I received this book through Pump Up Your Book Bloggers Tour, and the author, and was not required to give a positive review. Blog Tour Giveaway $25 Amazon Gift Card or Paypal Cash Ends 11/30/14 Open only to those who can legally enter, receive and use an Amazon.com Gift Code or Paypal Cash. Winning Entry will be verified prior to prize being awarded. No purchase necessary. You must be 18 or older to enter or have your parent enter for you. The winner will be chosen by rafflecopter and announced here as well as emailed and will have 48 hours to respond or a new winner will be chosen. This giveaway is in no way associated with Facebook, Twitter, Rafflecopter or any other entity unless otherwise specified. The number of eligible entries received determines the odds of winning. Giveaway was organized by Kathy from I Am A Reader and sponsored by the author. 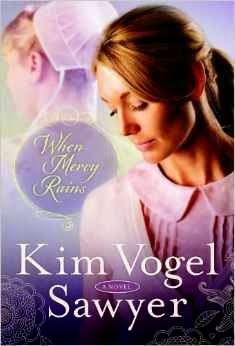 When she moves to Amish country to find peace and healing, Madeleine finds a special community and a special man who pull her out of her solitude into a new life. Moving to Pennsylvania wasn t in Madeleine s original plans. She should still be in California and should have married her pilot fiance a year ago but death has a way of changing everything. 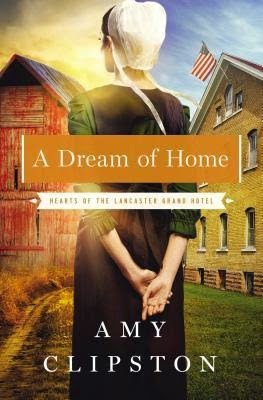 Now the former Air Force flight nurse is living alone in Paradise, Pennsylvania, and working as a maid at the Lancaster Grand Hotel. She isn t exactly a widow . . . but she sure feels like one. Saul Beiler isn t exactly a widower . . . but his wife is long gone. His six-year-old daughter, Emma, doesn t know that her mother fled the Amish community and married another man but she does know that her dat is lonely, and that a pretty young maedel just moved in next door. Madeline s numb heart begins to thaw as she spends more time with the innocent and ever optimistic Emma. The stronger her friendship grows with the young girl, the more intrigued Madeline grows about the humble, strong, man raising her on his own. But even as a strange attraction pulls Saul and Madeleine across a stark cultural divide, they and everybody else have to wonder: What could they possibly have in common besides heartache? Will love allow Madeleine to finally find the home she s been dreaming of all along?" As I was reading this book, I had the feeling that the series was ending with this book, but the ending told me that there is another, yes! Needing to do a lot of healing after the death of her intended, Madeleine is living in her deceased Grandparents Amish home. Basically, she is living without electricity, but she does have her truck. Maddie is running from her daemons and is finding solace living in the home where she has a lot of happy memories. Next door and on the land that was formerly her Grandparents lives Saul Beiler and his precocious daughter Emma, who also has had one of life hardest hurts, he life walked away from the both of them and left the Amish. A budding attraction between these two hurt souls cannot be, no, Saul is Amish and loves his faith, and fears that Emma may be influenced and also leave. Madeleine finds a bit of joy in spending time with Emma, they cook, and enjoy one another, but Saul is so afraid of her influence on his daughter he forbids it. Love how this story unfolds, and you want to hug each of these hurt individuals, but can anything ever happen here? We also are reunited with dear friends from the other books in this series, and loved getting the updates. Above all we see how everyone lives their faith and put their trust in God. 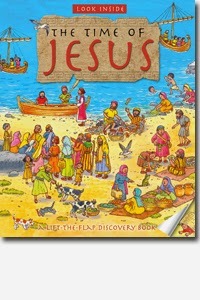 A fascinating flap book full of bustling scenes from the time of Jesus that will keep inquiring young minds busy. Detailed depictions of Bible history are enhanced by a glimpse behind the scenes with flaps to lift on every page. Brief text explains the setting of the picture, and references events and stories from Jesus’ life. The captivating pictures and to-the-point text make this book especially useful for encouraging reluctant readers. The book covers the first Christmas, a synagogue and carpenter’s workshop in Nazareth, fishing in Capernaum, farming and shepherding in the hills of Galilee, homes of the wealthy and everyday people, the temple in Jerusalem, the way of the cross, and the first Easter. Lois Rock has established an international reputation as a children’s writer. Specializing in Bible stories, prayer books, and information books, her books have been translated into over thirty languages with sales approaching four million copies. She draws on her experience as a mother of three and as a leader of church children’s groups. Illustrator: Lorenzo Orlandi graduated from the School of Applied Art of Castello Sforzesco in Milan, and has since worked with magazines advertising agencies, and publishers. Specializing in illustration of nature, history, science, and agriculture, he is also an expert in military history and dress from ancient populations to the First and Second World Wars. What a great book to add to your children’s collection, and their spiritual education. The book is well illustrated and has very bright colors. Added to each page along with the story are little flip ups, a surprise with each of the individual pictures. The story begins with the Stable in Bethlehem, at home in Nazareth, and as you read to your child they can open the flap at “who is in the carpenter’s workshop”? As we follow further into Jesus’s life we are by the shore of Lake Galilee, open one of the doors; Fishermen sell their catch, “splish splash”. Then we have a rich man’s feast, and we can “open the shutters”. Traveling further along in the book are A Roman Trial, and A Garden Tomb. The book is made out of very sturdy cardboard, and you can spend a long and great time together getting to learn about the life of Jesus, and shows the world that Jesus knew. Found this to be an adorable activity to spend with my child, along with being educational. I received this book through Kregel Publications and was not required to give a positive review. Melody Carlson is the award-winning author of more than two hundred books, including the Dating Games series, the Life at Kingston High series, Double Take, A Simple Song, and My Amish Boyfriend. She has received a Romantic Times Career Achievement Award for her many books, including the Diary of a Teenage Girl series and Finding Alice. Melody and her husband live in Oregon. Learn more at www.melodycarlson.com. The picture on the front of this book drew me in, and the concept also intrigued me. When the story unfolds we have a young girl/woman going to visit her Amish pen pal, which she has been corresponding with for a number of years. Her name is Micah, and you can guess what Zack Miller thinks, yes, and she never corrected him during the several years of letters going back and forth. I can just picture her as she arrives at the farm dressed as a boy. When I think of the strict Amish culture, it does bring a chuckle to think of this girl and her using a fake voice while addressing them. I can just picture their reaction when they find out the boy is actually a girl. You will wonder if the friendship/bond that has developed over the years between these you people, will be able to survive the deceit. Also can a girl get away working as a boy, and for how long? Then we have a strict Amish mother, who decides it is time for her son to find an Amish wife, to what extreme will she go to? Just wait until you are busy eating a meal in this house! Think as you go along in the story your going to find out just who was in for a culture shock. Between the parents and the teens, all are in for a real change. I loved this book, and look forward to more by this author! I received this book through Revell Publishing Book Reviewers Tour, and was not required to give a positive review. After years abroad, Garrison Brown finds himself at the home of his beloved grandmother who has just passed away. He must sort out her belongings, including six cats who need new homes. While he hopes to dispense with the task quickly--especially since he is severely allergic to cats--his grandmother's instructions don't allow for speed. She has left some challenging requirements for the future homes of her furry friends. Can he match the cats with the perfect new owners? And is it possible that he might meet his own match along the way? 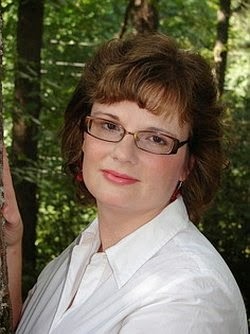 Melody Carlson is the award-winning author of over two hundred books with sales of more than six million. 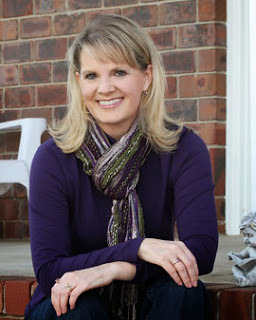 She is the author of several Christmas books, including the bestselling The Christmas Bus, The Christmas Dog, and Christmas at Harrington's, as well as The Christmas Pony and A Simple Christmas Wish. She received a Romantic Times Career Achievement Award in the inspirational market for her many books, including the Diary of a Teenage Girl series and Finding Alice. She and her husband live in central Oregon. Learn more at www.melodycarlson.comwww.melodycarlson.com. 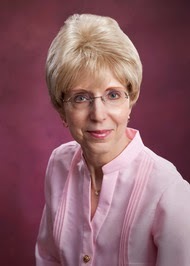 Melody Carlson is the award-winning author of over two hundred books with sales of more than six million. 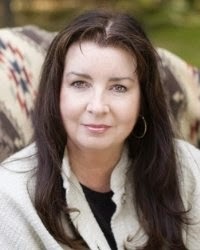 She is the author of several Christmas books, including the bestselling The Christmas Bus, The Christmas Dog, and Christmas at Harrington's, as well as The Christmas Pony and A Simple Christmas Wish. She received a Romantic Times Career Achievement Award in the inspirational market for her many books, including the Diary of a Teenage Girl series and Finding Alice. She and her husband live in central Oregon. 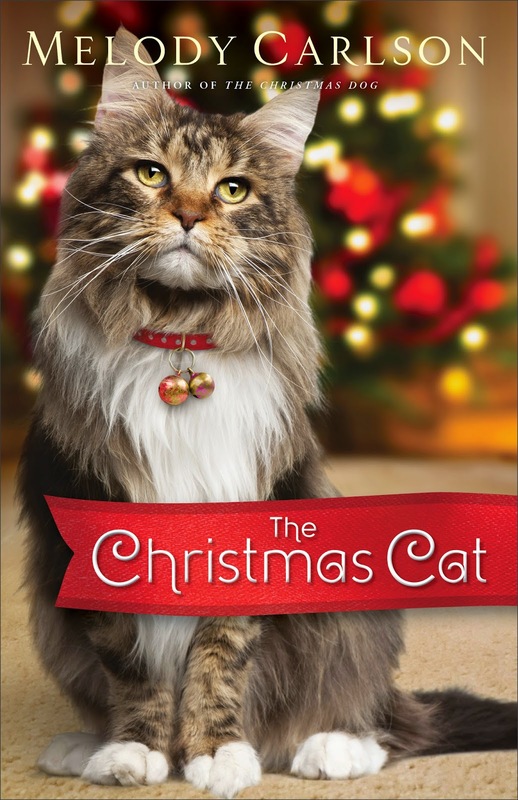 The Christmas Cat was one of those stories that you wanted to get lost in. Can’t imagine how poor Garrison Brown felt when he walked into his deceased Grandmother’s home, and found the six cats. His eyes began to water and he had trouble breathing, and couldn’t wait to get to a room in the house with no cats. He had a terrible allergy to cats? With the stipulation in his Grandmother’s will that he find a certain special home for each of the cats, Garrison sets about trying to fulfill her last request. With each of the cats comes a sizeable reward for making the perfect home for the kitty to live in. Somehow a wild rumor goes around that the cats come with a million dollar reward, now folks are coming out of the woodwork to have one. There are some really cute stories that go along with each cat, and there are perfect homes out there for each of them, they just have to be found, and within the parameters of Grandma’s wishes. One of the perfect homes is found for what comes to be unbelievably Garrison’s favorite cat, but low and behold this person doesn’t fit into the requirements. Not Grandma’s but she does meet Garrison’s. Come along and enjoy the spirit of Christmas with a little bit of misconception and romance. You won’t regret picking up this sweet quick read. I received this book through Revell’s Blogger Program, and was not required to give a positive review. This is only one requirement....Fill out the one entry on the rafflecopter! Suzanne had let go of any expectation for forgiveness long ago. Does she dare hope in mercy-and how will her uncovered past affect the people she loves the most. 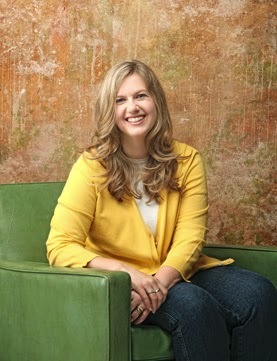 Kim Vogel Sawyer is a best-selling, award-winning author with more than one million copies of her books currently in print. Awards include the ACFW Carol Award, the Inspirational Readers Choice Award, and the Gayle Wilson Award of Excellence. Sawyer lives in central Kansas, where she and her retired military husband, Don, run a bed-and-breakfast inn with the help of their feline companions. She savors time with her daughters and grandchildren. Suzanne Zimmerman has felt betrayed by her family since she left home at Seventeen and pregnant. Only her mother seems to know the reason she left, but the rest have various feelings, as they don’t know the truth. I love how this story unraveled, and can’t wait for the next book in this series, and hope some of my wants will be answered. Suzanne’s mother is a very bitter woman, and maybe she has her reasons. She has had a farm accident and is paralyzed and needs constant care, so the family asks Suzy now a nurse, to come home and help. Of course, her daughter, much to Suzanne’s surprise jumps at the chance to meet her family. 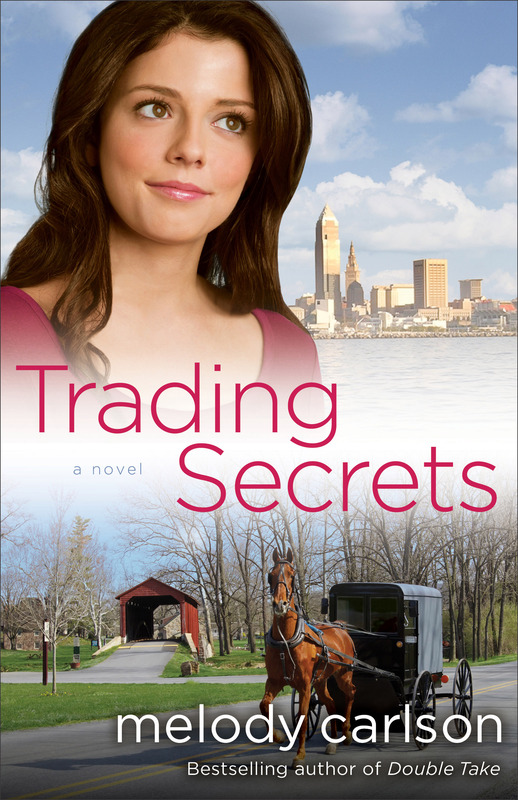 Loved how this story unfolds, and wait until you experience the shopping trip with Suzy and her Mom. I found it delightful, and in a way life changing. 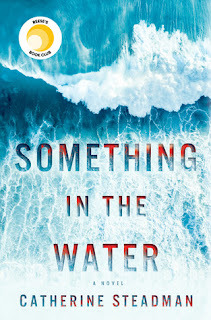 I never saw a lot of the happening coming while I read this story, Kim Vogel Sawyer, had me page turning and now I’m waiting for more. Pick this one up, you won’t be disappointed. I received this book through Blogging For Book reviewers program, and was not required to give a positive review.